There were two big names involved in Reuter’s probe into Sands Macau. Reuters Enterprise Editor Jim Impoco, the former Sunday Business editor of the New York Times, and PBS producer and Berkeley professor Lowell Bergman, whose investigation into the tobacco industry ended up on-screen in The Insider. 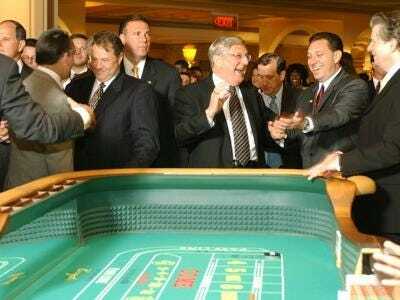 The story involves threats of limb-breaking, murder, previously undisclosed court documents and potential violations of American gaming laws by Las Vegas Sands. It’s an industry move that everyone from Bill Keller to HuffPo has touted, and the new non-profits like ProPublica (which had a hand in a NYTimes Magazine cover story last year), centre for Public Integrity, and Wisconsin centre for Investigative Journalism. It is, of course, too early to tell whether these collaborative moves or non-profit motives will solve the gaping hole in journalism’s business model. But for now, it’s producing some stories that may have not been possible otherwise.